From shops to bars and restaurants to cinemas – most things are open super long hours or even twenty four hours a day meaning there’s absolutely never a chance for you to get bored. A lot of the museums are free (you can spend at least a whole day in the British Museum) plus you could spend at least a week getting lost in the amazing shops and most famous department stores – Liberty is my fave. Random things happen in the street – one time I saw of group of guys body popping outside Piccadilly Circus tube station and everyone had circled around them to watch. 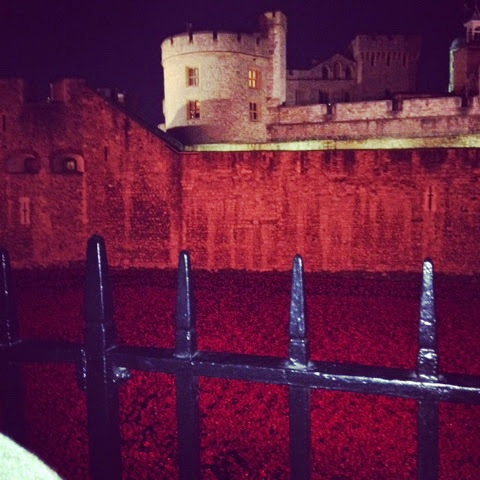 There’s always something a little bit special happening as well – think the poppies at the Tower of London or the deckchairs in Green Park. London feels like it’s packed full of opportunity, anything could happen as you head out for the night and no two visits are the same. They’re lucky enough to have the best chains – you know, the ones that never seem to make it up north! 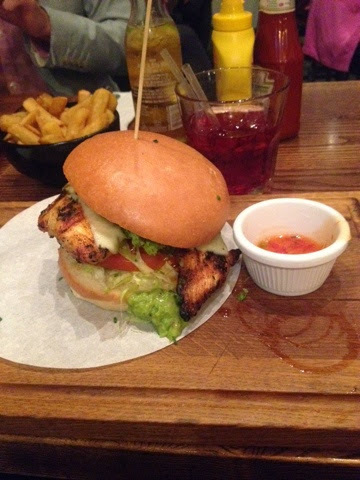 From Pizza Pilgrim to Wahaca and The Rum Kitchen (read my review here), Londoners are sampling deliciously different chains every night while we’re stuck with Nandos (I’m not hating on Nandos, I love an x-hot as much as the next person!) and Greggs. I’d love to go to a supper club. Professional chefs and foodies open their houses to welcome a select number of guests for an intimate meal. It’s a great opporunity to try something really different and get to know new people. There are always amazing or unique restaurants opening. Prawn on the Lawn in Islington started life as a seafood bar and fishmonger and is now a small basement restaurant serving delicious seafood and the Cereal Killer Cafe in Shoreditch serves only cereal. Even for dinner. There are lots of things that start life as only available in the capital. One example I’m thinking of is an advertisement I saw for a ballet fit class (an exercise I might actually enjoy) in Marie Claire. I scoured the internet trying to find one near me but the only classes were in London. By the time it makes it up to the Midlands, London will be on to the next thing. I don’t think bikram yoga has even made it up here yet. London’s full of hipsters and “cool people” who are always starting awesome trends or bringing something retro back and it really does seem to be the epicentre of the country. 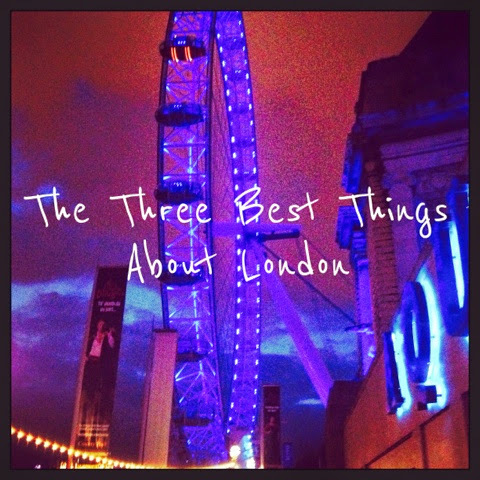 So these are probably the three best things but to be honest, I found it really difficult to narrow it down to just three – there’s loads of amazing things about the city. Basically, it’s just a really buzzy atmosphere and as soon as my train pulls into St Pancras station, I’m excited to be there and I’m always sad to leave – already planning my next trip down south. It just so happens Mr P and I are visiting London next week for a mini-break. Follow our adventures on Twitter with the hashtag #PartridgeLondonTrip and feel free to suggest somewhere great to eat or something fun to do!